From the time they were little, brothers Jim, Les and Paul Begick have been fascinated with gardening and landscaping. Upon graduation from Michigan State University (MSU) with a degree in landscape architecture, Jim opened Begick Nursery with his older brother, Les. The brotherly trio was completed in 1960, a decade later, when Paul joined the family business after also graduating from MSU and a short stint in the Army. Both Jim and Les have since passed and today Begick’s is owned by Paul and his nephew, Jim (Jim’s son). Paul and Jim both strive to carry on their family’s legacy, though it’s not terribly difficult to do considering they both have their family’s gardening and landscaping genes. For the past 60 years, the Begick family has been providing Bay City, Mich. with the best customer service and product selection in town. They educate their employees weekly in order to ensure they have the most product knowledge possible. As far as selection is concerned, we have just one question – what doesn’t Begick’s sell? 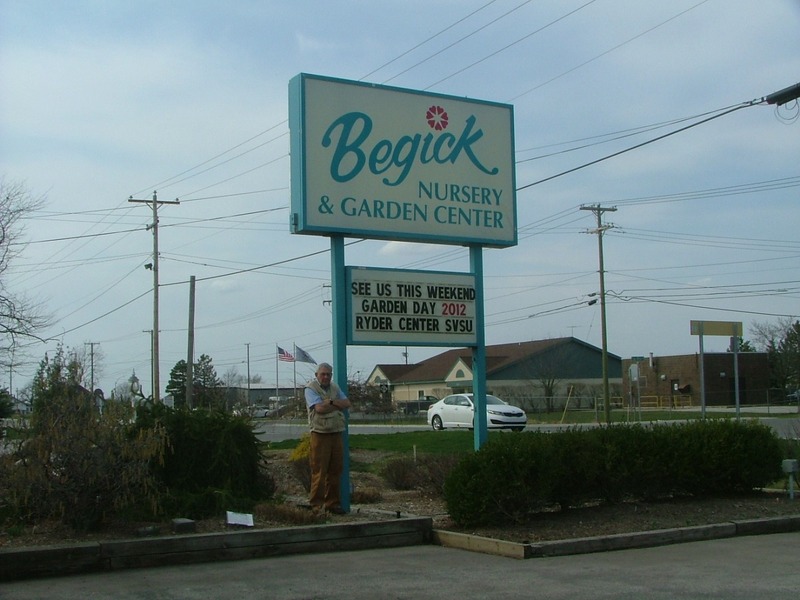 Begick’s is far more than just a nursery and garden center. Of course they carry all of the shrubbery, plants, flowers, etc. that you’d expect to see in a garden center but you probably wouldn’t expect to see their selection of outdoor power equipment. During the holidays, Begick’s actually does quite a good business by converting the store (with the exception of the equipment department) into a Christmas store. One of the most unique departments at Begick’s is their beer and wine making section, which is becoming very popular. Paul has been in the business for more than half a century and he is fully invested in both the nursery and his community. One Easter Sunday a few years ago, Paul was sitting down at dinner when he heard his phone rang. It was a customer who found his cell number on the store’s answering machine. The nursery was closed (for one of three days a year) but Paul rushed up to Begick’s to help the gentleman purchase Ace Caps, which are insecticide capsules that go inside tree trunks. Paul missed Easter dinner and only made $20 from the sale but he was there to help a customer and to Paul, that’s what matters most. Chances are, you won’t find the president of a big-box garden center leaving Easter dinner in order to help out a customer in need. Begick’s rich history, “bend-over backward” attitude toward customer service and their unique variety of products are what sets Begick’s Nursery and Garden Center apart and what makes us proud that they are a member of the Independent We Stand Movement. Read more about independent garden centers, Stihl.